The 13 records from the tblActor table that you should see. You should just see the one role! 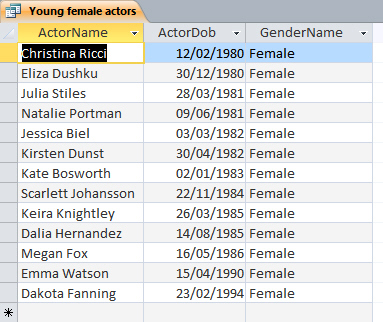 The 3 actresses you should see if you get this query right. It's trickier than it looks! Close down any queries that you've created.